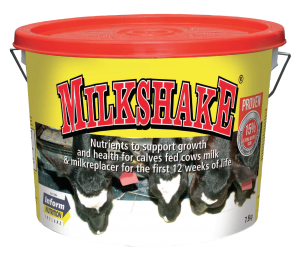 MILKSHAKE is the original nutritional supplement and milk acidifier, containing nutrients, proven (Teagasc Moorepark Ireland Trials) to support 15% extra growth in calves. 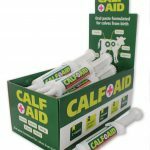 It can be used for calves fed whole-milk or milk-replacer. MILKSHAKE is formulated to provide all the nutrients found in a milk replacer and to support the emerging immune system, boost appetite and vitality. For dispersion in cow’s milk, add 15g (1 scoop) Milkshake to 500ml of water, then add this to 4.5 litres of milk. These measures should prevent milk from curdling excessively and ensure an even dispersion. 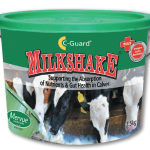 If milk curdles it is still perfectly safe to feed to calves. In fact, milk curdles in the calf’s stomach shortly after feeding and is an important part of the normal digestion process. 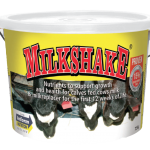 For use with milk-replacer in bucket systems or cold add-lib systems add 15g of milkshake (1 scoop) to 5 litres of milk replacer. 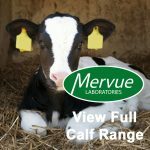 Studies conducted by Teagasc in Ireland along with the experience of farmers for over 30 years of using MILKSHAKE have demonstrated that feeding calves fed milk fortified with MILKSHAKE improved performance. 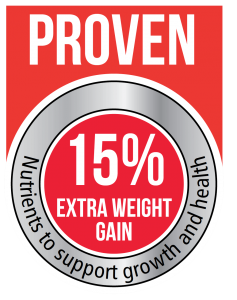 We believe MILKSHAKE® to be the best product of its kind on the market. We want you to obtain the best results, you will do so by following the below instructions.